Hello! 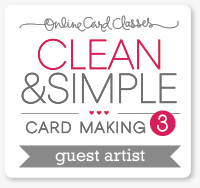 I'm back again with a clean and simple card design that reminds me of a Victorian style photo frame. A lot of the detail is created with texture from some of my favorite dies. Brightly colored florals accentuate the focal point and make it pop. 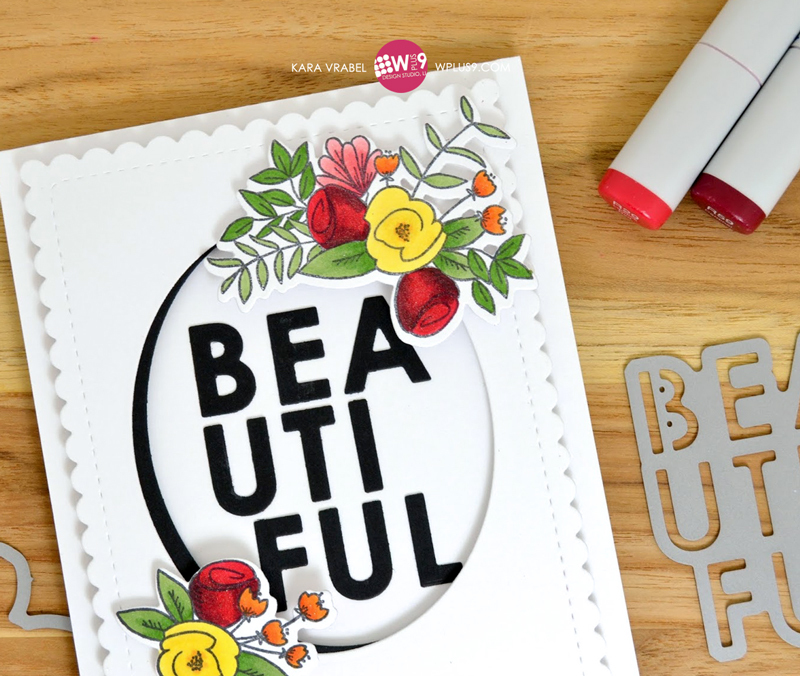 With the help of the many customizable sentiment stamp sets, this is a design that can be used for any occasion. To begin creating the 'frame' I die cut a piece of white cardstock using the Sunshine Layers Die, a real classic. I placed the large oval die, from the Basic Labels Die, in the center and ran it through my die cut machine again. Using a scrap of black cardstock, I die cut the oval once more in order to place behind the opening and add a shadow to the left side. Again in black, I die cut the word 'beautiful' from the Beautiful Butterflies Die. I positioned the letters inside the oval window and adhered them to the card base beneath with some liquid adhesive. To add that pop of color I used floral clusters from Hello & Thanks colored with Copic markers. 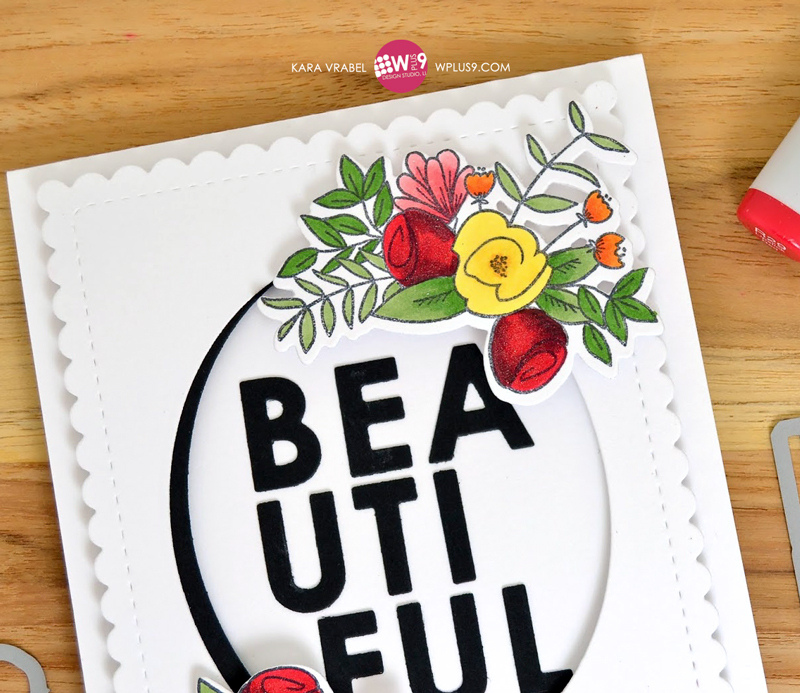 I added a hint of shimmer to the flowers with a clear Wink Of Stella pen before adhering them around the oval opening with dimensional adhesive. 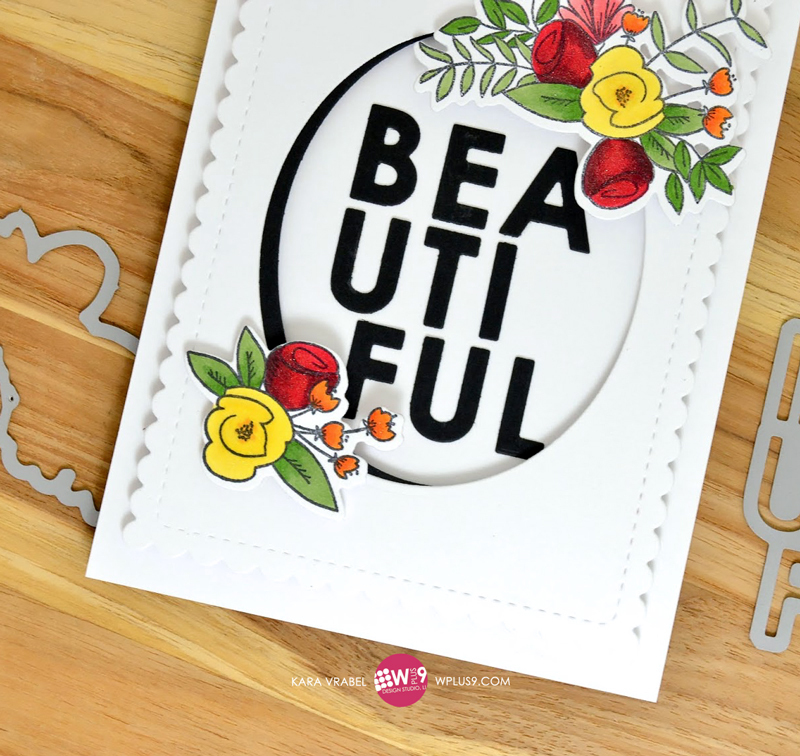 Finally, I added the secondary sentiment to the inside using the Hand Lettered Hello stamp set. 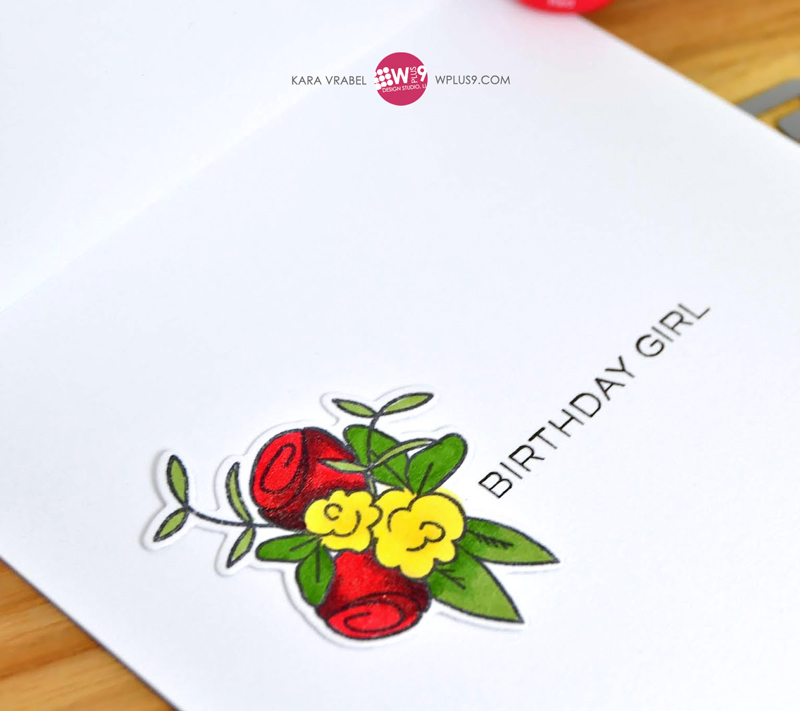 This is when you can really customize the card to your recipient and the occasion. I love being able to create a card in advance and then decide later how I'll use it.